This is a guest post by Edalina Rodrigues Sanches: Postdoctoral Research Fellow at Instituto de Ciências Sociais da Universidade de Lisboa. 2018 marks the 43rd anniversary of Cabo Verde independence and 27 years of an exceptional democracy with a tradition of free and fair elections as well as peaceful transitions in power. While historical and geographic factorsmay have facilitated these developments, political institutions such as executive systems, and political leadership have also played an important role. Since the founding multiparty elections of January 1991, Cabo Verde has developed a balanced and stable two-party system in which the PAICVand the MPDare the major parties. The PAICV is the older party in the system, and a forerunner of the PAIGCwhich was formed in 1956 during the liberation struggle against Portuguese colonial rule. It was the sole legal party during the authoritarian regime that spanned between 1975 and 1990; and it continued to play and important role in the post-transition era. After losing parliamentary elections in 1991 and 1995, the PAICV won subsequent elections (2001, 2006, 2011) with broad parliamentary support (more than 50% of the seats). The MPD, the second party to become legal in the country, was formed in 1990 during the critical juncture of democratic transition. It unexpectedly won the founding multiparty elections in 1991 and repeated the win in 1995 and more recently in 2016. In all these polls the MPD managed to secure more than 50% of the potential seats. Leadership successions within these two parties have been relatively peaceful. In the PAICV, there have been three transfers of power since 1991. In 1993, Aristides Lima replaced Pedro Pires as the new secretary-general and stood as prime-ministerial candidate at the 1995 elections but eventually lost. In 2000, José Maria Neves was elected new party leader, a position he held for 14 out of the 15 years he acted as the country’s prime-minister (2001-2016). This was a period of strong external projection of the country; but, internally, the government faced important challenges namely economic slowdown, rising unemployment, and higher levels of social contestation, particularly between 2008-2015. In 2014, José Maria Neves announced he was not going to run for the party presidency. This happened before the end of his mandate as Prime Minister and paved the way for the election of a new leader that would also run as prime-ministerial candidate in the 2016 polls. Janira Hopffer Almada was elected the new leader in the highly disputed party primaries of 2014 and became the first female to be elected party leader and to run for prime minister. The party never came together to support her leadership and she eventually lost the 2016 elections but saw her legitimacy as leader sanctioned in the 2017 primaries. In the MPD, leadership successions have been more difficult. Carlos Veiga’s leadership was marked by economic recovery and good governance but conflicts within the party led to the first scission in 1993 and to the formation of Partido da Convergência Democrático (PCD). In 2000, he decided to step down as both Prime Minister and party leader, and to run as presidential candidate. But in-fighting persisted and led to a new offshoot in 2001 – Partido da Renovação Democrática(PRD). This crisis set Jacinto Santos, the then President of the Praia municipality and member of the Political Committee of MPD, against Gualberto do Rosário, the then Prime Minister. With the 2000 MPD convention ahead, Jacinto Santos withdrew from the leadership race and went on to form the PRD with other party members. The Convention confirmed the leadership of Gualberto do Rosário who was succeeded by Agostinho Lopes (2002-2007), Jorge Santos (2007-2013) and most recently Ulisses Correia e Silva (since 2013), the current Prime Minister. 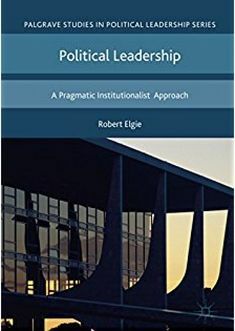 The key lesson that can be drawn from this is that leadership successions in Cabo Verde – both within the parties and in the executive – have become sufficiently institutionalized, and help maintain regime stability. Cabo Verde has been a semi-presidential regime from the outset of democratic transition. The amendment to the 1990 constitution in 1992 reduced presidential powers to dissolve parliament and dismiss the cabinet, and strengthened the legislative initiative of the executive. Eight years later, a new revision defined that presidential and legislative elections should no longer be almost concurrent (only one month between them) but were now to be held with a six-monthlag. When compared to other former Lusophone countries, the Cabo Verdean president is theweakest in terms of formal powers, but his role has never been irrelevant. The overall relationship between the president and the prime minister has been balanced and symmetric whoever is in leadership. One contributing factor is that the rounds of parliamentary and presidential elections held since 1991 have produced successive episodes of unified government in which the same party has the majority in the parliament and in the presidency. The only episode of cohabitation was in 2011 when the PAICV had the majority in parliament and the MPD was able to elect its presidential candidate. Power sharing between Prime Minister José Maria Neves and the elected President, Jorge Carlos Fonseca, generatedpolitical tensions and conflictsover the appointment of state officials and foreign policy issues. Despite this, these two strong charismatic leaders maintained an amicable relationship throughout the period of cohabitation. Since 2016, “normality” has returned as there is again a situation of unified government. In his second mandate, Jorge Carlos Fonseca has already stated the need for a constitutional revisionthat reinforces democratic institutions as well as social justice. Following some problems related to the performance of some ministers and the coordination between the different portfolios,Prime Minister Ulisses Correia eventually reshuffled the cabinet. But in a context of balanced intra-executive relationships, there are signs of increasing contestation from civil society. This year the celebration of Cabo Verde’s independence on July 5 was marked by several protestsin the main Islands and the same happened last year. This time, citizens’ complaints included a broad range of issues from unemployment, to regionalisation and to the Status of Forces Agreement(SOFA)with the United States. With further impending strikes and protests, it remains uncertain how the new political leadership will address social contestation. So far, the Prime Minister has refused to take responsibilityfor the complaints made, although the rights of individuals to protest is generally acknowledged. Sanches, E.R. 2018. Party Systems in Young Democracies: Varieties of institutionalization in Sub-Saharan Africa. London and New York: Routledge. Costa, Daniel. 2009. O Papel do Chefe de Estado no Semipresidencialismo Cabo-verdiano, 1991–2007, in Lobo, M.C., & Neto, O. A. (orgs). O Semi-Presidencialismo nos Países de Língua Portuguesa, Lisbon: ICS. MPD’s cabinets were supported by President António Mascarenhas Monteiro (two mandates 1991-2001) while PAICV’s were supported by President Pedro Pires (two mandates 2001-2011). This entry was posted in Africa, Cabo Verde and tagged Cabo Verde, democracy, Political Leadership on July 23, 2018 by Robert Elgie. President Jorge Carlos Fonseca called it ‘an historic victory’. The incumbent president succeeded in winning no fewer than 74% of the vote in the presidential election that took place on 2 October 2016. His rivals, independent candidates Albertino Graça en Joaquim Monteiro, gathered just 22.6% and 3.4%, respectively. The recent presidential election concluded a successful election year for the President’s centre-right Movement for Democracy (MpD). Earlier this year, the party had defeated the socialist African Party for the Independence of Cape Verde (PAICV) in both the legislative elections and the municipal elections. The MpD and PAICV dominate political life in Cape Verde and have alternated in power since the first multi-party elections were held in 1991. To many, Fonseca’s victory in the 2016 presidential elections came as no surprise. Fonseca (66) is a lawyer, university professor, and perhaps most importantly, an experienced politician. He co-founded the ruling MpD party and served as Minister of Foreign Affairs (1991-1993). In 1994 he gave up his party membership and founded the Party of Democratic Convergence (PCD), an MpD splinter party. In 2001, he stood as an independent candidate in the presidential election, but finished third, winning only 3.6% of the vote. Ten years later, in 2011, and this time with the support of the MpD party, Fonseca beat PAICV candidate and former foreign minister Manuel Inocêncio Sousa in a runoff with 54.45% of the vote. Compared to Fonseca, university rector Graça and former freedom fighter Monteiro have less political experience and, perhaps more importantly, lacked party support. To be sure, in Cape Verde no candidate has ever won the elections without the open support of either the MpD or the PAICV. The President partly owed his election victory to a successful first term. In particular, his decision in March 2015 to veto the Statute for Political Office Holders was well received by the people of Cape Verde. The law granted, amongst other things, a 65% wage increase to all elected officials. While the law was unanimously approved by the National Assembly it provoked outrage amongst the Cape Verdeans who considered it as a form of ‘legal robbery’. President Fonseca considered the concerns legitimate and decided to veto and return the law to the National Assembly. In a recent interview, the President said the decision was taken in an environment of great social tension. ‘It was not an easy decision to question a position that had been adopted and supported by virtually all the main political actors. There were long hours of meditation. The fact that the National Assembly did not re-examine the law revealed, indirectly, agreement with the measure adopted,’ he concluded. It is important to note that the results of Cape Verde’s presidential elections have generally mirrored those of its legislative elections. So, from 1991 to 2001, the MpD held a majority in the National Assembly while its candidate António Mascarenhas Monteiro occupied the presidential palace. From 2001 to 2011, the PAICV controlled the National Assembly while its former leader, Pedro Pires, held the presidency. Cape Verde experienced cohabitation once in 2011. This unique situation emerged when the PAICV won the legislative elections in February and MpD candidate Fonseca the August presidential elections. The emergence of another unified government is thus far from being an exceptional situation in Cape Verde. Fonseca’s victory was, however, ‘historic’ in that another sense: the presidential election was marked by record low turnout (36%), the lowest since 1991. Several factors may account for the high abstention rate. First, most PAICV supporters abstained from voting given that no PAICV candidate had joined the presidential race. The low turnout may also have been caused by voter fatigue. To be sure, it was the third time Cape Verdean had been asked to cast their votes in a period of less than half a year. Finally, it has been argued that the high abstention rate is a symptom of the people’s dissatisfaction with and distrust of the country’s ruling elite. Turnout in the parliamentary elections this year fell to just 66% from 76% in 2011. Political commentators have accused both the MpD and the PAICV of putting party loyalties above national interests. Although the country is considered to be one of the most stable democracies in Africa, the 2014 survey by Afrobarometer concludes that more than 50% of citizens are distrustful of key institutions and the political system in general. Likewise, Cape Verde’s performance in the 2016 Ibrahim Index of African Governance worsened. Yet, it has been argued that Fonseca won the elections because the PAICV vote was split between two party-affiliated candidates. The PAICV decided not to nominate a candidate following its landslide defeats in the legislative and municipal elections of this year. This entry was posted in Cabo Verde and tagged Cape Verde, presidential election, Semi-presidential system, unified government on October 10, 2016 by Lydia Beuman. Cabo Verde’s main opposition party won an absolute majority in the parliamentary elections, which were held last Sunday, 20 March. The centre-right Movement for Democracy (MpD) led by José Correia e Silva managed to beat the ruling socialist African Party for the Independence of Cape Verde (PAICV), taking back power after 15 years. A record number of six parties participated in the parliamentary elections. Preliminary results show that the MpD won an absolute majority (40 seats) in Cabo Verde’s 72-member National Assembly. The ruling PAICV, led by former minister of youth, employment, and human resource development, Janira Almada, lost roughly 30,000 votes and saw its parliamentary representation decrease from 38 to 29 seats. Cabo Verde’s third largest party, the centre-right Democratic and Independent Cape Verdean Union (UCID), consolidated its support, gathering three seats in parliament. Since the 1991 multi-party elections, the MpD and PAICV have dominated politics. The MpD controlled both the presidency and the National Assembly from 1991 to 2001. The next 15 years the PAICV ruled with José Pereira Neves as the head of government and Pedro Pires (PAICV) as the head of state. The 2011 presidential elections generated a unique political situation in Cabo Verde, namely cohabitation when incumbent President Jorge Fonseca (MpD) defeated PAICV candidate Manuel Sousa. The electoral victory of the MpD was not entirely unexpected. The MpD defeated the PAICV in the 2012 local elections where the former won 14 of 22 municipalities, two more than in the 2008 local elections. The PAICV has come under attack for running up the public debt on expensive infrastructure projects and failing to tackle rampant youth unemployment. The Cape Verdean economy recorded an unemployment rate of 15.5 per cent and a public debt of 120 per cent of the GDP in 2015. How to boost economic growth was one of the central themes in the election campaigns. The MpD promised to create 45,000 new jobs and to achieve economic growth of seven per cent, which is currently at three per cent. Cabo Verde’s next Prime Minister, Correia e Silva (born 1962), is an economist and has vast experience in the banking sector. He served as state secretary of finance between 1995 and 1998 and was minister of finance from 1999 to 2000. With the MpD in power, President Fonseca’s chances of getting re-elected increase. Presidential elections that are scheduled for August this year. This entry was posted in Africa, Cabo Verde and tagged parliamentary elections on March 24, 2016 by Lydia Beuman. When in August 2011 Jorge Carlos de Almeida Fonseca of the Movement for Democracy (MpD) party was elected president, Cabo Verde entered a period of cohabitation. Power sharing between the president’s party and the ruling African Party for the Independence of Cape Verde (PAICV) under the leadership of prime minister José Maria Neves has generated political tensions between the president and prime minister. Conflicts have occurred over the appointment of state officials and foreign policy. It is the first time that Cabo Verde has experienced cohabitation – the situation where the president’s party is opposed to the prime minister’s party and the president’s party is not represented in the cabinet. Since the first multi-party elections, held in January 1991, the parliamentary majority and presidency have always been controlled by the same party. From 1991 to 2001 the MpD controlled both institutions and from 2001 to 2011 the PAICV. In the legislative elections of February 2011 the PAICV won 38 seats out of a total of 72 seats in parliament. The MpD won 32 seats and became the country biggest opposition party. Therefore, even though, the August 2011 presidential election might be considered a ‘honeymoon’ election, the newly elected ruling party’s candidate failed to win, ushering in a period of cohabitation. Political tensions developed between the MpD and the PAICV over the appointment of members of the so-called ‘external organs of parliament’ such as the Media Regulatory Authority (ARC), the Data Protection Authority (CNPD) and the National Elections Committee (CNE). These nominations need to be approved by a supporting vote of a two-thirds majority in parliament. In other words, the ruling party and the opposition need to reach consensus on the members of such organs. Yet, appointments have been delayed several times, leading the ruling party to accuse the opposition of intentionally blocking negotiations. The absence of political consensus between the two dominant parties has prevented the establishment of a constitutional court. Cabo Verde has no constitutional court even though the 1999 constitutional amendments provide for its creation. This is because the PAICV and the MpD could not reach consensus on the members of the court. Power sharing has led to intra-executive conflict over foreign policy issues as well. In particular, the president and prime minister publicly disagreed on who should represent Cabo Verde at the Africa summit scheduled for August 2014 in Washington. According to the prime minister, the government is responsible for the foreign policy and not the head of state. The prime minister made clear that Cabo Verde adopted a semi-presidential system and not a presidential system. The president, for his part, said that it was too early to talk about these issues eight months ahead of the summit. Legislative and presidential elections are scheduled for March and August 2016, respectively. This entry was posted in Africa, Cabo Verde and tagged African Party for the Independence of Cape Verde (PAICV), Cabo Verde, Cohabitation, Movement for Democracy (MpD), President Jorge Carlos de Almeida Fonseca, Prime Minister José Maria Neves on March 12, 2014 by Lydia Beuman.